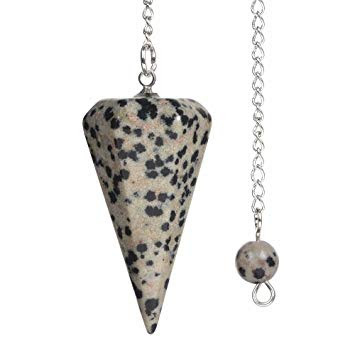 If life has become burdensome and all sense of joy seems to be lost, wearing or carrying a Dalmatian Stone can reawaken a sense of fun and humor. It has a fortifying, restorative and emotionally harmonizing effect, counteracting disillusion, cynicism and skepticism. 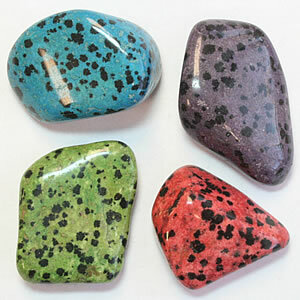 Its Tourmaline inclusions quickly dissipate negative energy and outworn patterns, moving you forward in life. Dalmatian Stone embodies the rich, brown rays of the natural earth. It is the color influence of home, hearth, and nature, of comfort and connection. It lets you relax, reconnect, and regain your composure. It is a grounding stone. 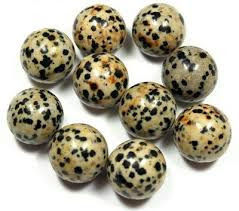 Brown crystals promote security and stability. 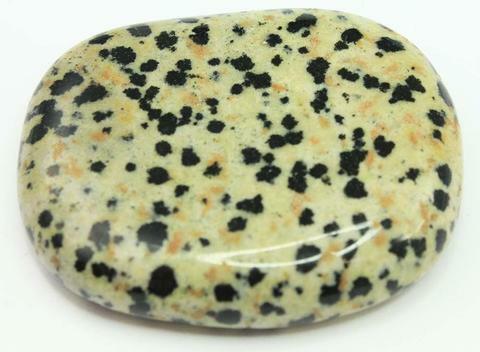 The black spots have a definite influence in this stone. Their energy deepens our connection to the physical, natural world. 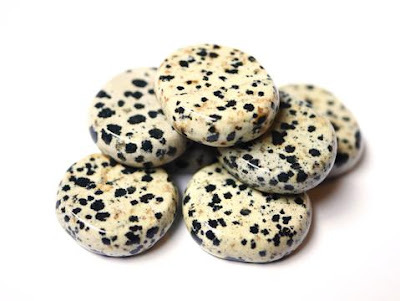 It brings power and strength, relieving fears specifically associated with the physical existence here on Earth. 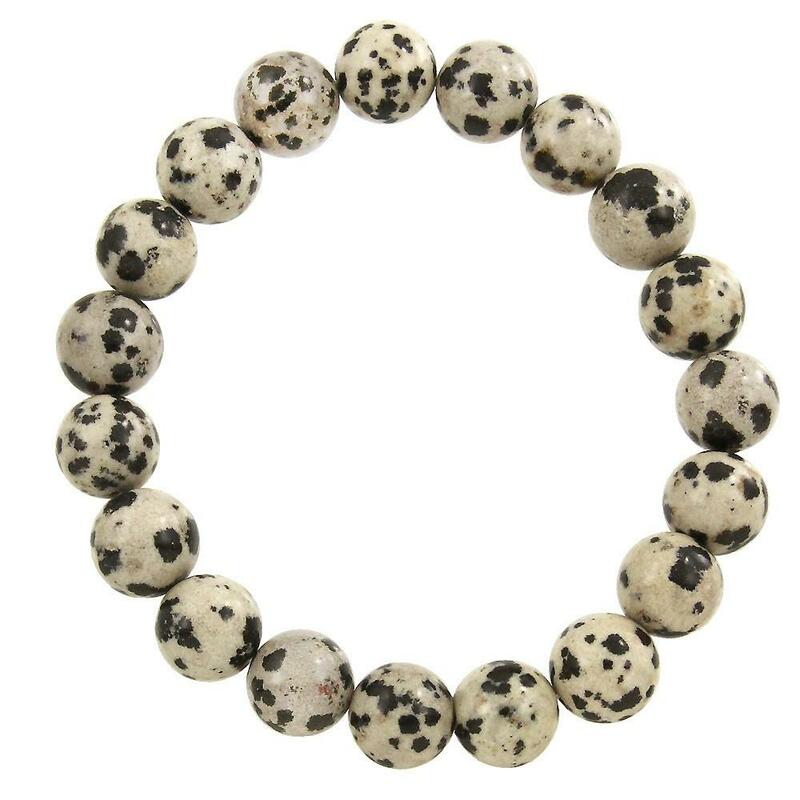 Dalmatian Stone offers protection and a retreat, the safety of being hidden from your enemies. 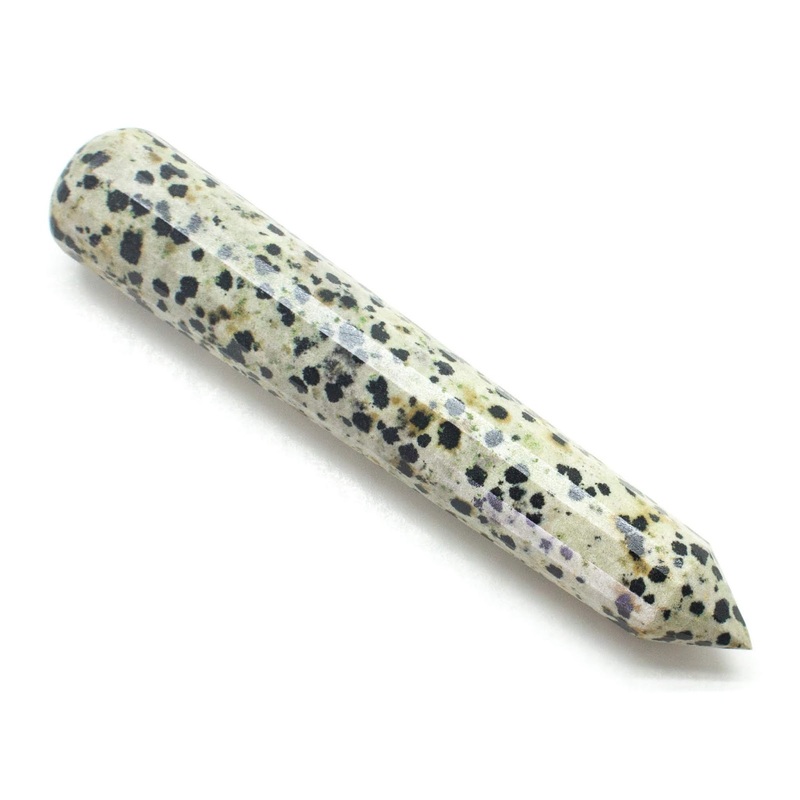 Dalmatian Jasper is a marvelous tool for deepening the meditative state, especially when held in the hand. It allows one to maintain peace within the inner being and encourages the contemplation of the duality of life. It helps one to stay focused on the light in the world while still embracing the darkness.